Shaun welcomes Liverpool artist Roy to the show with another tail of Liverpool ahead of this weekend's 6Music Festival and Matt Everitt looks back on the life of Scott Walker. Shaun gives another caller a chance to tell their brilliantly daft Claim to Fame on air in Small Claims Court and Shaun gives the 6 Music audience a chance to challenger hi to another track in Circadian Rhythms. 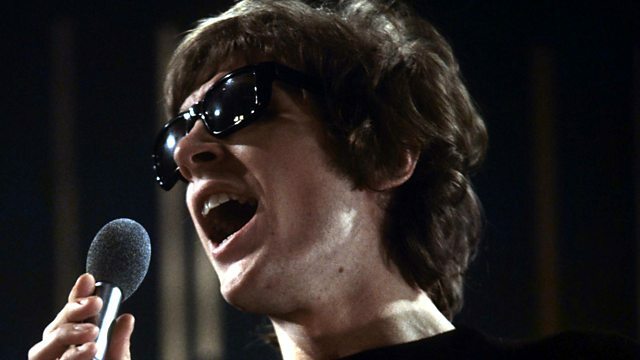 Plus, Matt Everitt has the latest Music News which includes a look back to the life and work of the great Scott Walker, one of the most enigmatic and influential figures in rock history, has died at the age of 76. The US star, whose songs included The Sun Ain't Gonna Shine Anymore and Joanna, influenced everyone from David Bowie to Jarvis Cocker initially found fame as a teen idol in The Walker Brothers, but his dark baritone hinted at something deeper. That was borne out in his experimental, psychedelic solo albums, which explored the complexities of love and death. Walker's death was confirmed by his current record label, 4AD, who called him "one of the most revered innovators at the sharp end of creative music". Plus, Liverpool's genius spoken word performer Roy joins with another tale of Merseyside life ahead of our trip to the city for this weekend's 6 Music Festival. Roy tells tales. Stories of everyday moments. Some are true, others gathered, and some imagined and often hilarious.